Despite all of the Podiatrists, doctors, experts, expensive therapies and custom orthotics, is it possible that a $30 piece of plastic could be the answer to fixing our Plantar Fasciitis problems? The Foot Rocker certainly does seem to be a popular product for people who have tendonitis and PF – but how does it work and is it effective? What is a foot rocker and how does it help? 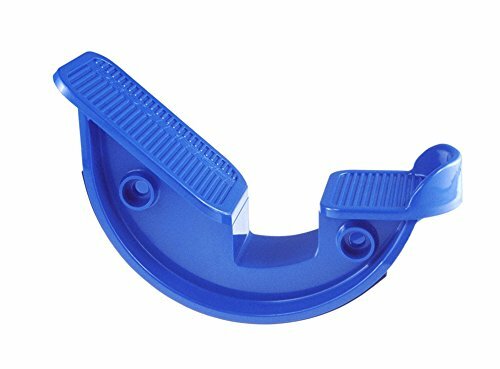 Made from sturdy plastic, the ProStretch Foot Rocker is a semi-circular shape with a plate that allows you to rest your foot on, although at a slight angle so that your toes are pointing upwards slightly. The plate area is also designed so that your shoe does not slip around too much whilst you are using it and usually features some non-slip treads too. The idea is to stand with your weight on the rocker and perform a set of stretches for a set period of time each day. It can be used in any room in the house, although you might want to use it where you can hold on to something as you will be a little off balance and also off the ground by a few inches. The study determined that both sustained and intermittent Achilles tendon stretching exercises increase Achilles tendon flexibility. This increase in flexibility correlated with a decrease in pain. There was no significant difference in outcome between the sustained and intermittent stretching groups. The data suggest that both sustained and intermittent Achilles tendon stretching exercises were effective nonsurgical treatments for painful heel syndrome. Porter, David, et al. “The effects of duration and frequency of Achilles tendon stretching on dorsiflexion and outcome in painful heel syndrome: a randomized, blinded, control study.” Foot & ankle international 23.7 (2002): 619-624. The foot rocker is designed to help you stretch by allowing your foot a greater degree of motion, therefore making the stretch more effective. Normal exercises that help are usually done against a wall or on the edge of a step, but using the rocker allows you to flex that little bit more. You might not think that this would make much difference, but many people have praised the effectiveness of the foot rocker. How to use the foot rocker. Find somewhere sensible to use the rocker and somewhere that you can hold on to something to help you balance. Step on to the rocker with 1 foot and stand upright. Begin to roll forwards and backwards slowly on the rocker, trying to keep your weight over the top at all times. Hold the position for a period of time to stretch the muscles as required. Other exercises require that you stretch whilst standing with your legs apart (as if you were running) with the rocker on your front foot. This video from Medi-Dyne, showing the various exercises that can be done using their product will help you understand how it is used and the benefits. How does it help plantar fasciitis? As part of the exercises and also due to the angle and position of your foot, the stretching will help pull on the Achilles tendon and also on the plantar fasciitis tendon on the bottom of your foot. Over time, this increase in flexibility will help reduce pain and the bad effects of PF. 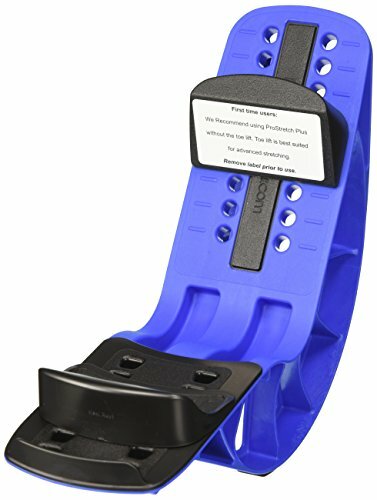 The foot rocker is not a heel pain relief product that you could pick up and use to give immediate pain relief for your painful feet – it is designed to be used over a period of time. Only if you do this and follow the guide and planned exercises, will you see any benefits. Great for intermittent heel pain. For those of us who are not regular exercisers and suffer from the odd bout of heel pain that appears to have no specific cause, using a device like this will help. If you can commit to doing these exercises once per day, or when your heel pain starts to trouble you, the stretching will help loosen up those tissues, muscles, and tendons around the calf, ankle and foot. This will help keep your muscles loose and will help reduce any tension pulling on your heels. Different types and models available. If you look at Amazon (which is where I recommend you buy the foot rocker) there are several brands and types available. The most popular, based on sales and also numbers of positive reviews, is the Medi-Dyne Prostretch Flexibility Exerciser. Although this is more expensive than other products such as the North American Healthcare Foot Rocker, it is most likely driven by the high number of positive reviews. The Medi-Dyne Prostretch also comes in different types, which are designed to stretch and exercise both legs, feet, and ankles at the same time, where you put both feet on to one rocker at the same time. These may look a little odd and come with slightly different sets of exercises to perform, but I guess there may be benefits to doing the same amount of stretching to both legs at the same time. There is also a 2-foot model that allows alternate movement, so you can roll one foot forwards and one backward at the same time. Medi-Dyne also makes the Prostretch Plus, a slightly enhanced model that allows you to adjust the amount of stretch it gives to your foot. This is done by changing the position of your heel, causing more stretch to be applied when using it. You can see the Plus model being used in the video I have embedded above. The ProStretch Plus does look like a great idea, but many reviewers have complained that it is not as strong as the cheaper model and that the adjustable parts come off and break. The basic model should be enough for most people to get the benefits. Many people have left very positive reviews of both products, stating how they have helped. You don’t need much room to use the rocker – ideal for using at home when you want. They help more than normal calf, thigh and ankle stretching exercises. May not work for people with large feet (oversize 11) as they will not fit the product properly. Cannot really be used safely without shoes on. Unless you follow the instructions, you might end up stretching too much and injuring yourself.